First son of Adam and Eves, Cain (قايين in Arabic) grew up to be a crop farmer while his brother Abel (هابيل in Arabic) turned out to be a shepherd. 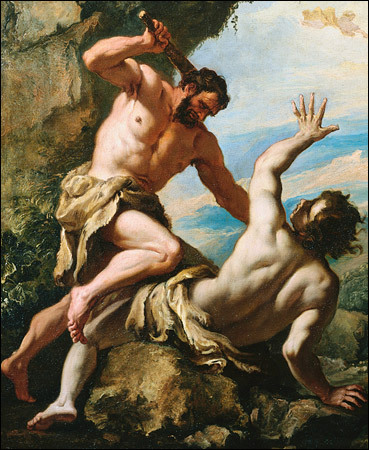 When God rejected Cain’s offerings from his crops and accepted Abel’s sacrifice from the firstborn of his flock, Cain became the human race’s first murderer by killing Abel for reasons of envy and jealousy. That’s when God put a mark (or curse) on Cain that prevented him from ever benefiting from crops, thus forever turning into a wanderer of the Earth. 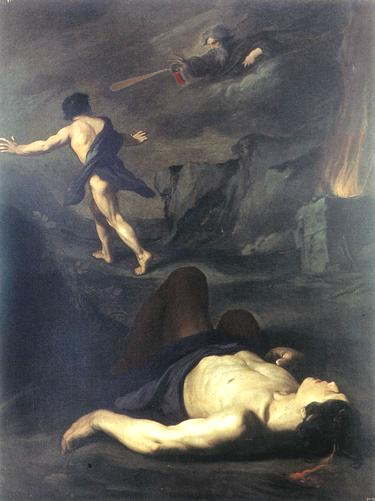 It is said that the mark also implied that killing Cain will provoke God’s vengeance on the killer sevenfold (this is the origin behind Avenged Sevenfold’s name). As an act of irony, the curse by God focused strictly on neutralizing the benefits of Cain’s primary skill, cultivating crops. When Cain complained that the curse was too strong, and that anyone who found him would kill him, God responded, “Not so; if anyone kills Cain, he will suffer vengeance seven times over”, and God “set a mark upon Cain, lest any finding him should kill him” (Gen: 4:15). This has been a point of interest to Rock / Metal musicians. My first encounter with this topic was Therion’s “Mark Of Cain” song from their “Crowning of Atlantis” album. You killed your brother Abel. And you’ll be borne down by (the) load. You will walk forever to live and let die. Other references to this tale are Marilyn Manson‘s “Children of Caine” song, Thrash / Death band Mark Of Cain and Black Metal band Thunderbolt’s “The Mark Of Cain” song among others. Who are The Four Horsemen?